If you haven’t followed Matheson’s work over the years, you’ve been missing something truly special. Then again, if you’ve never read or seen any of Matheson’s material, maybe you’re anti-entertainment, in which case, you probably wouldn’t be reading this to begin with. Richard ruled the world of printed fiction for years, and he took that talent right to the screen. Big and small alike, Matheson wrote some amazing tales. His work on Rod Serling’s, Twilight Zone is some of his earlier, but finest output. “Nightmare at 20,000 Feet” is still terrifying today. 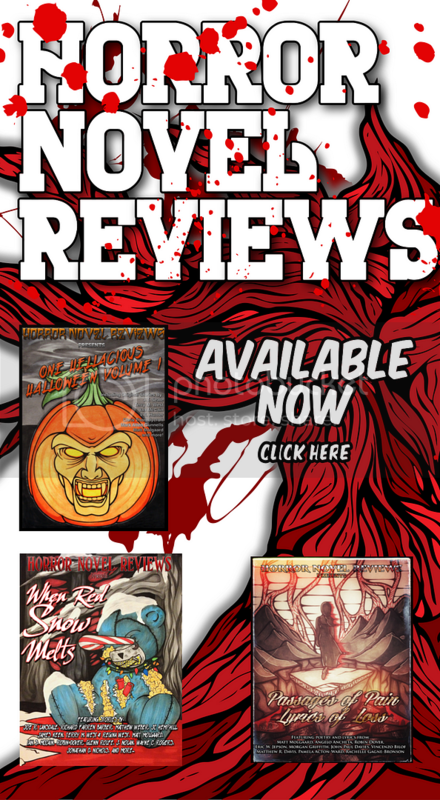 Hell, “Nick of Time” and “Night Call” still crawl under the skin as well. And that’s not to say that Matheson worried, in any way, about limiting himself to the Twilight Zone. He also penned episodes of The Alfred Hitchcock Hour, Star Trek and Amazing Stories. He handled some stellar made-for-television projects as well, including Duel, The Night Stalker and Trilogy of Terror. The man was all over the place, spreading infectious works of fiction through any medium available. Quite a few of his novels have been adapted for film. And as you might guess, the novels that were indeed transferred to celluloid, are absolutely riveting. I Am Legend remains one of the most impressive pieces of vampire fiction ever written, and it’s widely recognized as such. The novel has been adapted thrice over for the big screen (under the titles, The Last Man on Earth – starring Vincent Price, The Omega Man – starring Charlton Heston – and the recently released I Am Legend – starring Will Smith), that’s just how powerful that story is. The Legend of Hell House (written under the title Hell House) likely stands as Matheson’s second most famous transfer. It’s an oft-paralyzing ghost chiller with a gnarly twist. While the novel summoned a slew of comparisons to Shirley Jackson’s, The Haunting of Hill House, it’s a piece that stands comfortably on its own two, bringing a measure of physical violence that Jackson’s classic left untouched. And, while we’re discussing major transfers of Matheson’s work, it feels mandatory to mention A Stir of Echoes. The film, which hit the market in 1999 is a strong adaptation of a genuinely haunting work of fiction. A Stir of Echoes is also one of those intermittent treasures that actually works to frighten readers (and viewers), it’s genuinely scary, for more than a single reason. Matheson, as I noted, was truly a master of the page, the small and the big screen alike. My fondest Matheson memories will always rest with I Am Legend, Hell House, Stir of Echoes, The Shrinking Man and What Dreams May Come. These were novels that meant something. They didn’t slip from the memory bank once the final page turned, they stuck, like glue. They’re each magnificent works in their own right, and while they all differ from one another greatly, it’s still a rather significant challenge in deeming one superior to the other. That’s how Richard Matheson functioned, he turned out amazing work on a regular basis. Though Richard passed away on Sunday, his legacy will forever live on. The world will never forget the man or his complex mind. 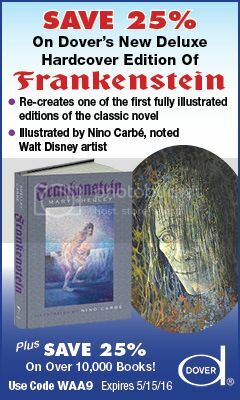 He gave us iconic works, tales of fiction that yanked readers and viewers into his world, and refused to let us escape. He offered us a new view on science fiction and horror, and he did so religiously. The world may have seen a great depart, but fans will see his body of work as an endless mine to be excavated on a daily basis. 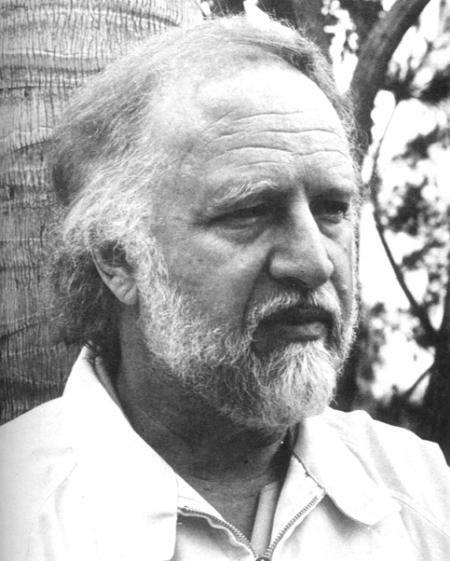 Richard Matheson was 87 years old at the time of his death. As unsettling as it is to see news of this nature surface, we know that the man lived… he really lived. Inside his head a whirlwind of creative beauty carved notches in his imagination that he shared with the world, and outside, he achieved everything a brilliant mind could hope to achieve. I Am Legend? Yes, Mr. Matheson, you will always be a legend. A Stir of Echoes is such a well-written book, and so timeless, that I was halfway through it before I realized it was written in the fifties, and then only because I noticed a plot point where important news arrived in a letter and I looked back at the copyright. Most works of genre fiction don’t hold up that well. RIP Mr. Matheson. Couldn’t possibly agree with you more. Matheson was of a very special ilk. No one is about to forget his work. I just got back after spending four hours at the Medical Clinic near where I live. It was a pleasure to get signed on and see this wonderful commentary on Richard Mathedon by Matt. Excellent job, my friend. Richard would be proud of it, if not a little embarrassed. He was a very humble person who always treated others with kindness and respect. For those who don’t know, the author also wrote the novel and screenplay for Somewhere In Time, which is of the greatest love stories of all time. Sorry, Romero and Juliet. The movie is a classic, and Richard Matheson has a brief cameo in it. one of his books, or watching a show or movie he wrote. He would appreciate that. I wasn’t aware he wrote What Dreams May Come. Didn’t he also do the short story that was the inspiration for the movie Real Steel? The Robot Boxing movie? yes he did. I believe that was also a twilight zone episode. The world is definitely a smaller place with Matheson gone. 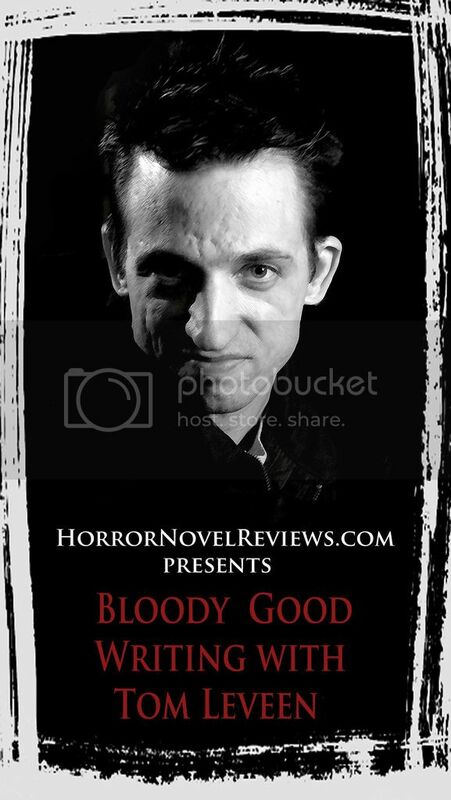 He is really a defining moment in horror, taking terror from the haunted castles of the Gothic tradition and the loner academicians of the Lovecraftian world and bringing it soundly into the day-to-day world. An excellent essay. He will be missed. I can’t think of a horror writer over the age of 35 who hasn’t been inspired by Matheson. He was the driving force behind some of the things I loved most. He will be sorely missed. I’m with you all. It’s nice to see our followers and contributors step up to say a small something about the man. Matheson was just a remarkable fellow who built something that time cannot bury. Joe, Richard wrote What Dreams May Come for his wife. He wanted to write something that expressed the love he felt for her and how wonderful she’d made his life by being in it. Both the book and movie were excellent. Matt’s Tribute to the late Richard Matheson, who passed away early this week, sums up his life’s work very nicely! So many great accomplishments from a great storyteller… Great piece, Matt. He was truly a talented writer with a vivid imagination. He may be gone, but his work will live forever. Well, I couldn’t have said it any better. 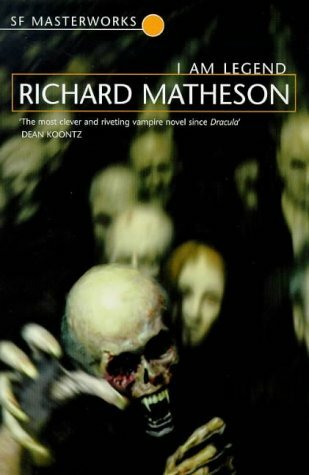 Richard Matheson is one of the enduring influences on my writing (and reading). My introduction was watching ‘The Last Man on Earth’ in the late 60’s / early 70’s with Vincent Price. 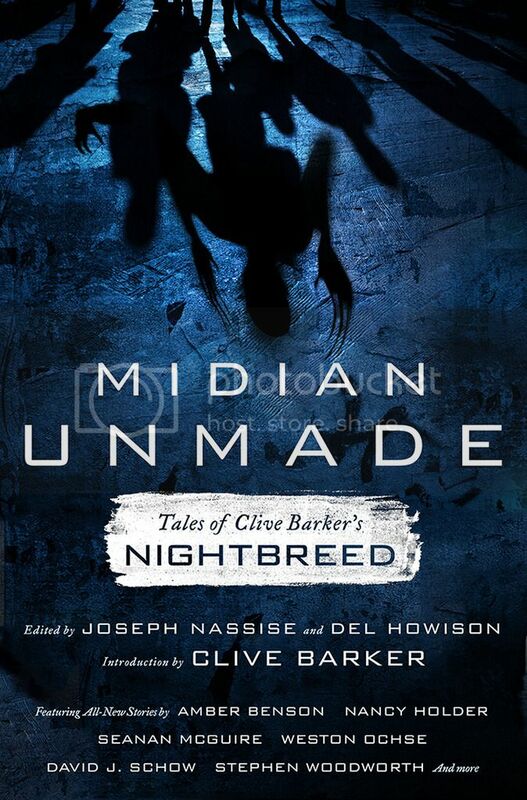 It was the best of the I Am Legend movie efforts, but no film has really captured that novel yet. Anyway, thanks Richard, you will be sorely missed. Reblogged at my site. Thanks. Reblogged this on Craft Fear. really glad you guys are reblogging this – the more people who understand how impacting Matheson was, the better. Stephen King wrote a really stellar tribute to Richard Matheson. I saw it on Facebook. You know what the really sad thing here is besides Richard’s death? It’s the fact that so many young people don’t even know who he is. Exceptional Tribute! I will miss Matheson. He was such a pioneer. Fearless, uncompromising and genuine. Such a talent and his work on TTZ remains so timeless and unique. Great job, Matt! 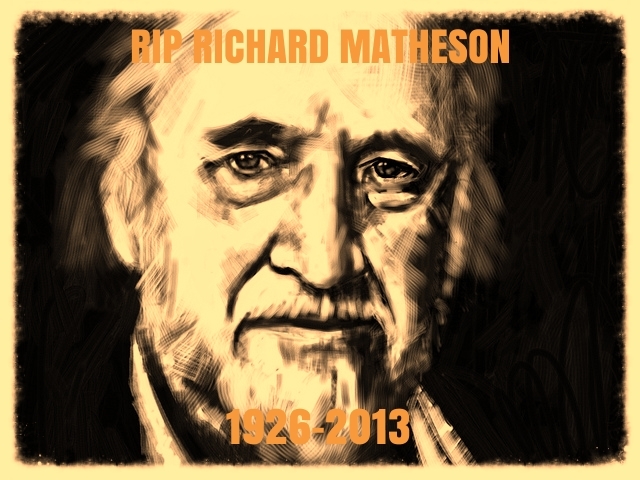 In Memoriam: Richard Matheson | BIZZAM! !